A rough and ready attempt to collate some of the interesting tech stuff filling up my inbox! *On-the-fly wasted guest disk space reclamation; which returns reclaimed disk space to your SAN, and all you need is an OS that implements TRIM. Interesting PDF article regarding Dell's Compellent SAN solution for the University of North Texas – a 36'000 student, and 3'200+ employee sized organization! The FAS2200 Series (FAS2220 and FAS2240) includes the NetApp Virtual Storage Tier approach to leveraging the power of flash technology with the Flash Pool feature. Flash pool combines the performance of SSD with the capacity of HDD, is extremely easy to set up and use, and is fully integrated with the upcoming release of System Manager. Also, with the new release of Data ONTAP 8.1.1, all NetApp's entry systems support Clustering. 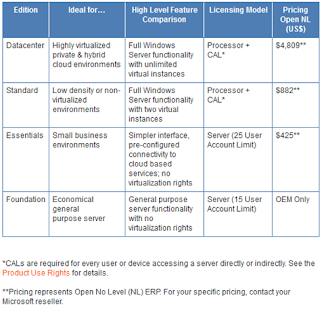 And now, with Data ONTAP 8.1.1, the Virtual Storage Tier has a new family member... Flash Pool. Flash Pool, like its Flash Cache sibling, implements VST through intelligent caching of hot data thus delivering real time performance improvement with the right mix of Flash and HDD. 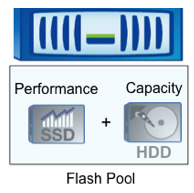 Flash Pool, is actually a specific type of Data ONTAP aggregate which is composed of both HDD and SSD devices. While Flash Cache (implemented as a PCI-e attached controller cache) accelerates random read operations for all data on the storage system, Flash Pool is enabled for specific data sets and provides caching of random write operations as well as random reads. And since Flash Pool is physically implemented at the disk shelf level, it provides a cache that follows data persistently, even in the event of HA failover events. You can deploy Flash Cache and Flash Pool independently or combine them on the same storage system giving you the ability to tune VST to the requirements of specific workloads-you can use Flash Pool for workloads with lots of random writes and Flash Cache will cover the rest. 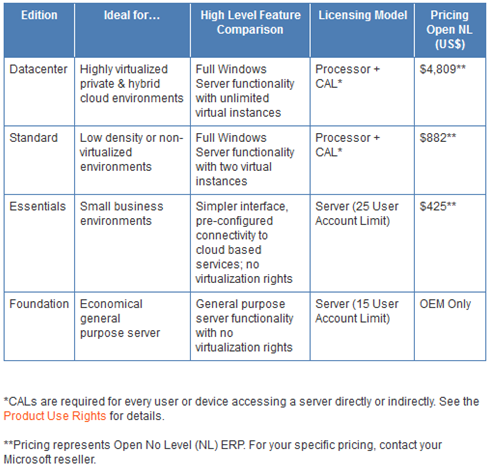 Microsoft Windows Server 2012 Licensing: four builds – Datacenter, Standard, Essentials, and Foundation (OEM). Interesting PDF article regarding Dell's solution for the Caterham F1 Team!